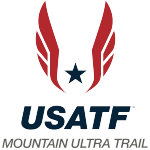 The American Trail Running Association provides multiple corporate membership opportunities for brands interested in reaching our large and growing audience of trail runners. Listing & link on our home page & membership pages (trailrunner.com). Your races highlighted on our events calendar (trailrunner.com). First ad free in our monthly email blast. Listing on the inside cover of our quarterly Trail Times newsletter. One quarter page ad in Trail Times plus 20% off additional ads. 3 ads in our monthly email blast. 2 quarter page ads in Trail Times plus 20% off additional ads. 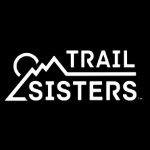 Inclusion of sponsored stories in “Trail News” blog on trailrunner.com. Inclusion of corporate announcements and press releases in Trail Times newsletter. 6 ads in our monthly email blast. One welcome ad in Trail Times newsletter. One additional half page ad in Trail Times. One website display ad for 4 months; discount on additional ad units. Opportunity to provide corporate materials (coupons, catalogues, press materials) for distribution at ATRA events. Featured in our social media plan. 12 ads in our monthly email blast. Full page ad in Trail Times newsletter. Two additional half page ad in Trail Times. Two website display ads for 6 months; discount on additional ad units. Opportunity to include questions in ATRA online surveys. 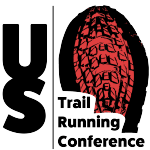 Access to historical data & trends about trail running and races.